Self-regulating heat tape is heat tape / heat cable that changes its operating temperature depending on the temperature of the environment in which it exists. This includes ambient temperatures of the air and surface temperatures of materials that the cable is in contact with. How is this Different from Standard Heat Tape? Heat Tape purchased in big-box stores is constant wattage heat tape. “Constant Wattage” means: it is always on at full capacity. If it’s plugged in, it is always drawing full power and is costing you peak energy expenses, which –over the length of a season– can add up huge. Thought you were saving money on that cheap heat tape you got at that home improvement store? Guess again. What Are the Benefits of Self Regulating Heat Cables? 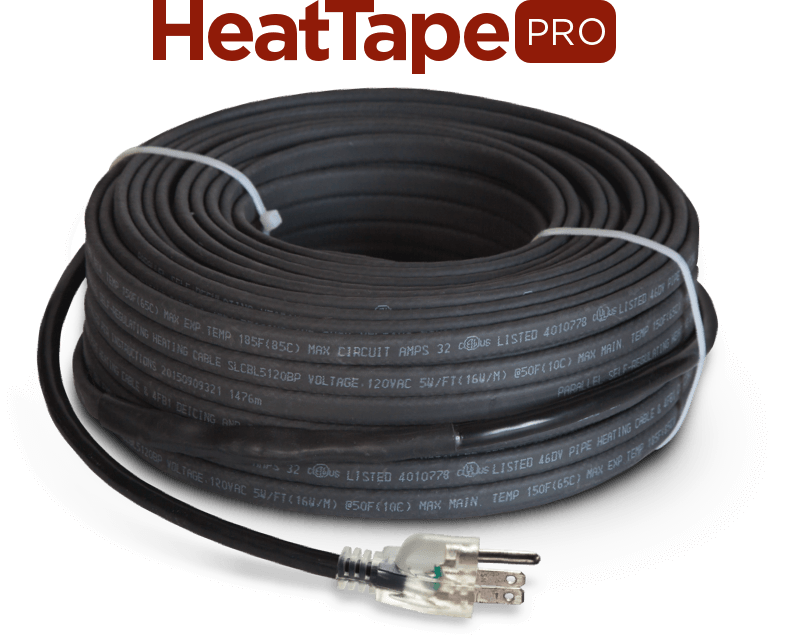 Because Heat Tape PRO is a self-regulating cable, its heat and electrical output is variable. This means, as the temperature gets colder, the cable creates more heat by drawing more power and when it gets warmer it creates less heat by drawing less power. This allows you to consume only the energy you need to help protect your roof from damage caused by ice dams or prevent a pipe from freezing. Over the course of a winter, when temperatures are constantly fluctuating, this can save you a lot of money and give you a significantly reduced carbon footprint. 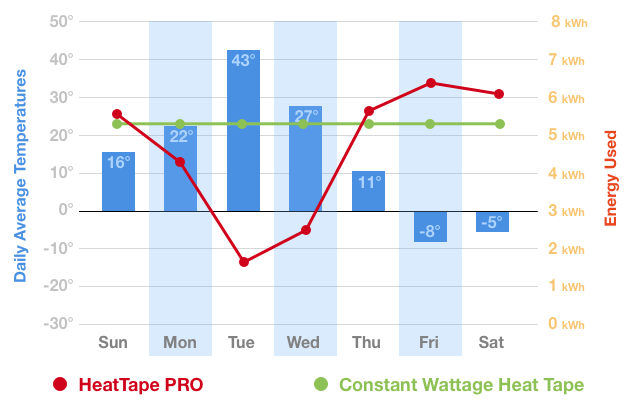 Generally, your HeatTape PRO will pay for itself in energy saving. How Can the Heat Tape Warm Up and Cool Down? The core of our heat tape is two bus wires encased in a special material that is, in part, carbon. As ambient temperatures decrease, the material shrinks pulling the bus wires closer to each other, creating the electrical reaction which makes the cables heat up. 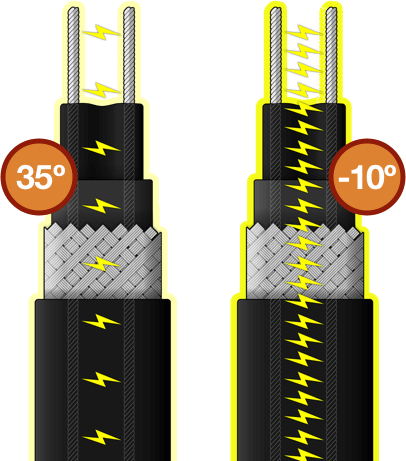 When ambient temperatures are warmer, the inner core expands, preventing higher temps from occurring within the cable. This reaction occurs on a microscopic level, and controls the temperature of the cable, without the need for a thermostat. This regulation of the temperature within the cable happens locally on the heat tape, inch by inch. So if only a section of your cable is subjected to colder temperatures, only that section will increase its temperature and electrical draw.